Probably one of the greatest things about a smartphone is that you can use it anytime and anywhere. But you need two hands for your bike…. well, stress no more! 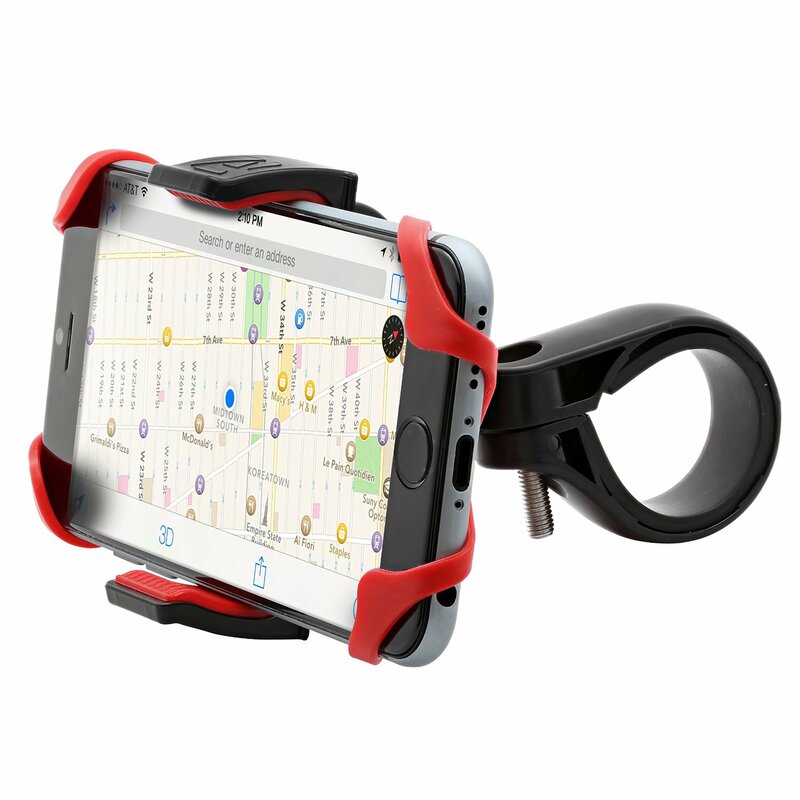 Welcome to the universal bike mount for your iphone or droid! Simply attach this mount to your handlebars and use your smartphone for making phone calls, looking up directions, even surf the web while you ride. With a headset, you could control the entire thing with your voice as well!